Hi friends! Whether you’re a first year or fourth year, congratulations on surviving the midterm season. We’re already halfway there, which means that finals (!!!) are just around the corner. And if you’re like me, having slept and lived in Weldon for the past 3 weeks, you’re probably sick and tired of your music that’s been on repeat since. If you asked me what type of music I listen to, I probably couldn’t give you an answer. As someone who listens to anything, and I actually do mean everything, it’s not hard to find new music that I like. However, with exams and assignments, I haven’t been able to discover new artists, albums and songs to share with you all until now. Ok, so this isn’t exactly something I recently discovered, but I can’t help but include it in this list. Regan “Ta-ku” Mathews is a self-taught progressive music producer who’s known for combining soul music with the percussive elements of hip-hop. I personally love this album because, not only is it relaxing and chill to listen to, it tells a story. The tracklist follows a sequence of events that occur after a breakup, and the songs reflect each stage. However, what really sets this album apart is the fact that that this all happens without lyrics; everything is conveyed through the beat of the music. The bass beats like a fluttering heart which you can actually feel speed up and slow down, depending on the track you’re on. My favourite song is, no doubt, the 6th track “We Were in Love”. If you don’t have the time to listen to the full album, I highly recommend just listening to that one song. It’s what led me to discover Ta-ku and all his music. I’m usually not a fan of mashups/remixes because I feel like all they do is jumble together a few songs without any meaning and call it a day. However, White Panda’s mashup of “Midnight City” by M83 and “Good Life” by Kanye West has made me reconsider that. Not only does the song feature M83 and Kanye, both artists who are incredibly talented, but it manages to blend them together in a cohesive song that doesn’t sound like a mashup at all. The ambient synthetic pop beat of M83 is overlaid by Kanye’s distinctive voice that we all know and love. White Panda does an amazing job of keeping the elements of what makes each song enjoyable, while creating something new unique that’s intrinsically different from the originals. If you’re not a fan of mashups, give this song a listen and you’ll see what I mean by it changed my views. Where has this girl been all my life and what did I ever do without her. Lykke Li is a Swedish singer-songwriter who has the most soulful voice I’ve ever heard – her voice is the lovechild of Lorde and Adele. What I love about Lykke Li is the fact that she doesn’t hesitate to put all her emotion into each of her songs, especially in her newest album “I Never Learn” (linked in the heading). I would describe her voice as having a tint of West Coast nostalgia (think Lana del Rey) with the power and backing of something more powerful. The album tells the tale of why she moved from her native country of Sweden to LA; her ambition truly shines through as it’s only a little over 30 minutes. I don’t even have a favourite song from her because everything is just that good. While all my previous picks have been slightly indie in nature, I can’t help but include T. Swift’s newest and highly anticipated album “1989”. I’ll admit it, I’ve always been a fan of her, starting from her first, self-titled debut album “Taylor Swift”. Besides the fact that my suite-mate has been playing this entire album since she got it (15 days and counting), I can’t stop listening to this album. As her first real “pop” album, “1989” is Taylor’s experimental album where she tests the waters outside of her country genre niche. And, to be honest, I’m not disappointed at all. Like her previous albums, most of the songs take from her previous loves and relationships. However, instead of focusing on breakups and sadness, she discusses the complexity of relationships. For me, that’s what stands out about “1989”: Taylor’s cumulative progression from singing about the teardrops on her guitar to about never getting back together to finally acknowledging the media’s criticism of her personal romantic relationships. Taylor doesn’t take herself seriously in this album and lets the world know it. I’ve always heard of this song, but never had the chance to actually listen to it until my friend included it in the playlist he made for me to study to (thanks J). Of course, I was skeptical about this song because its chorus is “I got the club going up, on a Tuesday” repeated quite a few times. However, I was pleasantly surprised when it turned out to have that chill underground vibe that undiscovered rappers seem to have. I particularly love the smooth, velvety sounds of Makonnen “iLoveMakonnen” Sheran and the slow progressive beats of the snare drum. Coupled with Drake’s noticeable voice, this song really stands out as something you can definitely listen to while turning up at Weldon, any day of the week. Solana “SZA” Rowe was also a pick that was on the study playlist I mentioned above and I couldn’t help but include her (even though I didn’t actually “discover” her). Her voice is similar to that of Jhene Aiko’s (also another great female artist), except her song beats draw elements from both chillwave, soul and R&B to create a genre more like alternative R&B. You might’ve even recognized her in Schoolboy Q’s “His & Her Friend” on his album “Oxymoron”. Her newest album “Z” (linked in heading), features prominent and rising rappers such as Chance the Rapper, Kendrick Lamar and Isaiah Rashad, all who are worthy of checking out if you have the time. 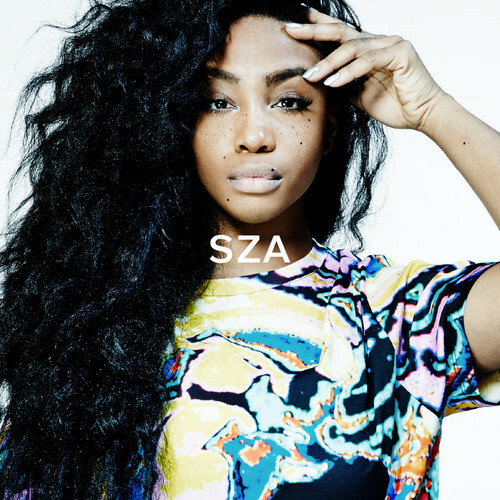 However, SZA keeps each track her own with her sultry and rich voice and progressive beats. I love the range of her songs – some of them can be classified as dance party starters while others can qualify for the chill afterparty. My favourite song from her is the 7th track “Babylon” featuring Kendrick Lamar. Its haunting lyrics beats, along with an appearance from Kendrick’s reflective raps, and SZA’s chilling voice creates a musical experience like no other. While most of my songs on this list have been more relaxing, Big Data’s “Dangerous” is anything but that. Having heard it over the summer on the radio, I fell in love instantly. 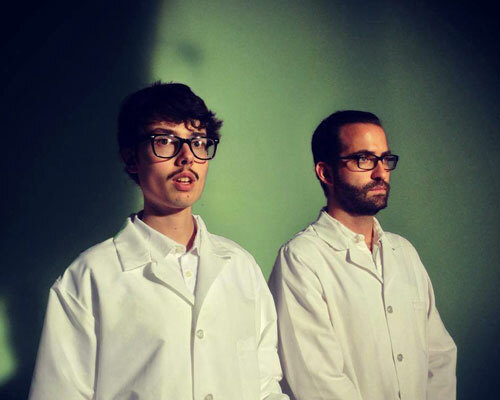 It’s a much-needed refreshing redefinition of the indie genre as it encompasses what indie music was, before the title came along. The beat is infectious – you won’t be able to stop tapping your foot or bobbing your head. I actually use the song as my alarm, and I’m not sick of it which really says something about how much I love “Dangerous”. It’s the ultimate pick-me-up! There’s really nothing else to say, except the fact that you need to listen to it. Hopefully, you now have some more music to listen to while studying for those finals. What are your favourite/new songs that you are obsessed with? Feel free to share those picks below because you can never have too much to listen to!